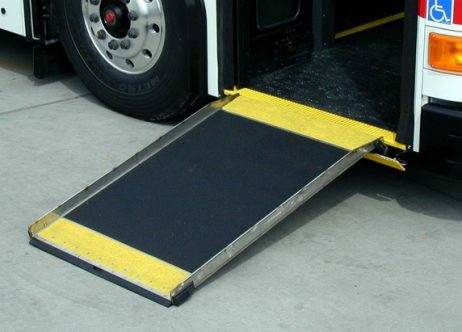 Slide-Out Ramp – Lift-U | A division of Hogan Mfg., Inc. The LU5 Ramp assembly is a self contained modular unit. The LU5 Ramp assembly is mounted beneath the vehicle floor at the vehicle’s entryway, concealed from view until ramp is deployed. Portions that are manufactured from mild steel are electrostatically powder coated.